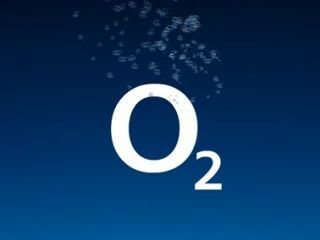 O2 has published an apology over today's data leak which showed user's numbers were made available to all websites. A simple site was set up to prove what information is sent when a page is accessed using a mobile browser, and O2 was shown to be revealing mobile numbers. "We have seen the report published this morning suggesting the potential for disclosure of customers' mobile phone numbers to website owners. We investigated, identified and fixed it this afternoon. We would like to apologise for the concern we have caused." When asked how long this has been happening, the network responded with: "In between the 10th of January and 1400 Wednesday 25th of January, in addition to the usual trusted partners, there has been the potential for disclosure of customers' mobile phone numbers to further website owners." The network has confirmed the problem was fixed as of 1400 on 25 January, and "the only information websites had access to is your mobile number, which could not have been linked to any other identifying information we have about customers." O2 has blamed "technical changes we implemented as part of routine maintenance" for the fault, which had the "unintended effect of making it possible in certain circumstances for website owners to see the mobile numbers of those browsing their site." The problem has raised much wider issues for the phone industry as a whole - O2 has confirmed it shares the data with third parties that it deems 'trustworthy'... although has not disclosed which sites these are and the level of information passed. There's no mention of compensation for users affected by the breach, despite calls from the disgruntled public, and such action seems likely in the light of action being taken to plug the hole. However, the Information Commissioner has stated he will be investigating the issue, so this might not be the last we hear of the O2 data leak saga.